Takahashi FSQ-106ED @ f/5.0 (530 mm F.L.) Captured at 2.1 arcsec/pixel. Shown at 2.1, 4.28 and 9.38 arcsec/pixel. 5/4/2014 to 6/23/2014 Chino Valley, AZ... with CCDSoft & CCD Commander. 525 min. (35 x 15 min.) "
180 min. (12 x 15 min.) "
210 min. (14 x 15 min.) 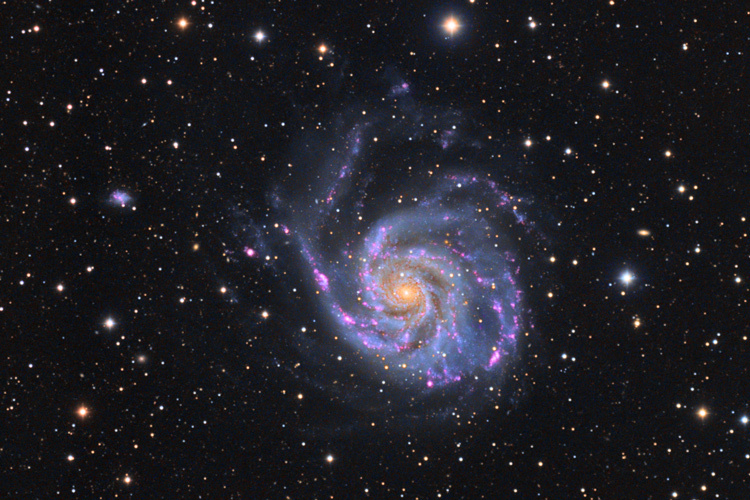 "
eXcalibrator v4.25 for (g:r) color balancing, using 140 stars from the SDSS-DR9 database. PhotoShop for the LRGB combine, adding Ha data to the red channel and final touch-up. 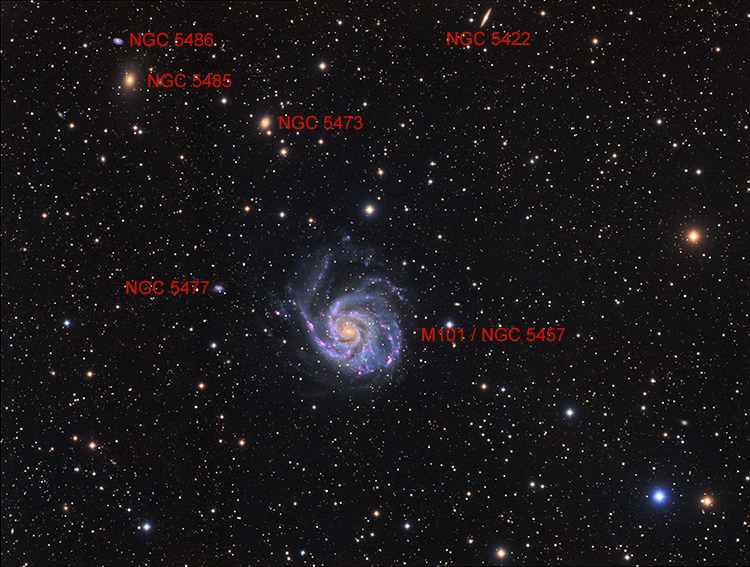 In the full-size image, galaxies as faint as magnitude 21.7 are easily seen. A count, with the Aladin Sky Atlas, shows at least 7,000 visible background galaxies.